Imagine you're circling a crowded parking lot. Just as you spot a space, another driver races ahead and takes it. In a world of road rage, domestic violence, and professionally angry TV and radio commentators, your likely response is anger, even fury. Now imagine that instead of another driver, a cow has lumbered into that parking space and settled down. Your anger dissolves into bemusement. What has changed? Not just the occupant of the space but your perspective on the situation. 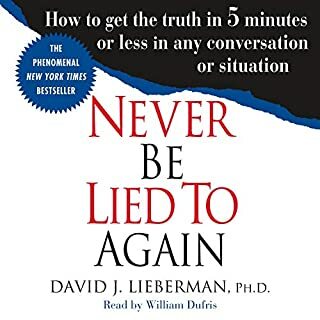 Never Get Angry Again, by New York Times and internationally best-selling author David J. Lieberman, is a comprehensive, holistic look at the underlying emotional, physical, and spiritual causes of anger and a practical guide to what the listener can do to gain perspective. Take a deep breath and count to 10. Meditate. Visualize your happy place. 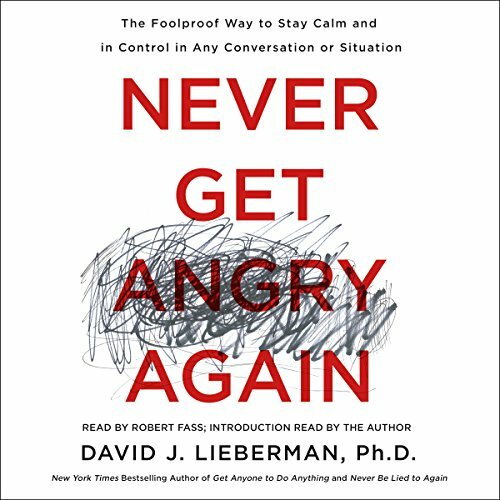 You've probably heard all of these anger management techniques and more from friends, family, and experts, but somehow they miss the mark when it comes to coping with the complex emotion of anger. 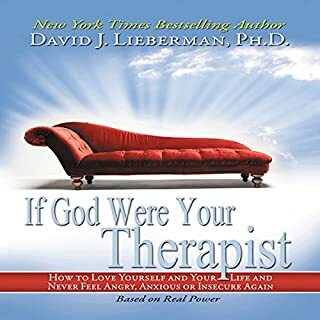 Let's face it: If anger-management techniques were effective, you wouldn't be listening to this audiobook. These clumsy attempts to maintain calmness are usually futile and sometimes emotionally draining. The fact is, either something bothers us (causing anxiety, frustration, or anger), or it doesn't. A state of calm is better accomplished by not becoming agitated in the first place. When we fight the urge to blow up or melt down, we fight against our own nature. This is more a book about how to lead an authentic, meaningful, happy, fulfilling life, in accordance with the dictates of our conscience so that anger never arises at all. It covers a diverse range of principles and useful practices along this line. There are some useful anger management techniques as well. Be warned that the author does assume a belief in God and the soul but there is still some very useful material if this is an issue for you. 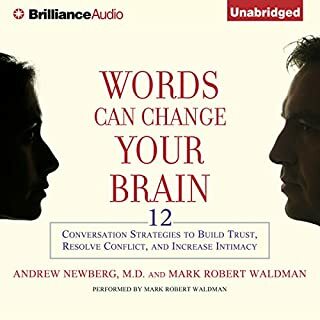 Although the audiobook was narrated very well, there is so much material here that it would also be helpful to get a printed copy of the book. 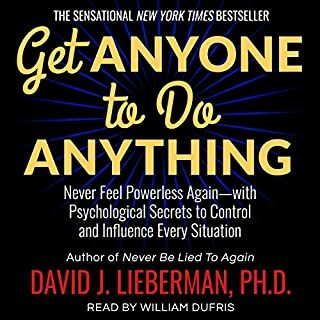 I don’t know what happened to the author between writing “How to Get Anyone to do Anything” and this book, but I’m glad for it. From the outset, he goes far deeper and more introspective than his original titles. 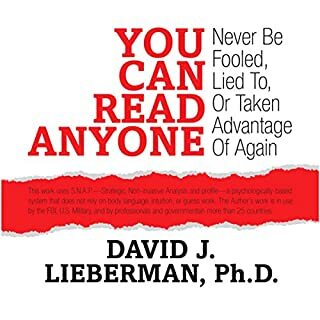 Instead of manipulating other people or situations, the author asks of to take personal responsibility for how we feel and the honest circumstances causing those feelings. Then he provides a rich assortment of tested strategies for resolving (not managing) our anger. I liked it up until the author stated it was impossible to move beyond anger without accepting God and having faith. I don't think a belief in a sky daddy is going to do much in any fashion to make you a better person, let alone help with anger management. I’ve read some other listeners comments about his mentions of God or a higher power. This should not put you off to this book. Any mention of this was more for the purpose of understanding the fact that we are not in control of everything. It was certainly not a strong theme within the book. This book focuses on extensive clinical research and data driven solutions according to the authors interpretation of these studies. I found the book insightful, real, powerful, and solution oriented. 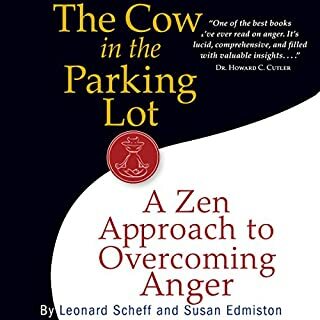 This is a great read for every person on earth let alone those of us with anger issues. This is also a fantastic read it for clinicians and those who have friends and family with anger issues. Highly recommend it. At first, it wS downright frustrating with all the groundwork in the first ten chapters. As I read on, it all came together and made sense. should be required reading for all! great Info that helps to live life free from the irritation of anger if you heed it's advice. I loathe the sound of the readers voice and couldn’t even get through the first few chapters. It sounds like a robot is reading this book and it’s painful to listen to. I love this book. it was easy to follow with very comprehensive views and strategies to solve the issue at hand. It has made me reassess how I approached things in life. Love this book. Will listen to it again when I feel I am derailing. “Expect nothing, accept / appreciate everything.” It’s powerful. Needs real life examples to relate to, not story book examples. Get rid of god and Shakespeare and talk about actual real life stand points in today's world. Talks about God, utter nonsense! I frequently had to tell the narrator to f*** off. What’s God got to do with it? !mentions the soul a lot. Awful. Made me very angry. There should be a warning when Christianity is going to be shoved down ones throat. Such a shame because the words before the God part were great, but now I don’t trust the authors judgement.